Using the fantastic line up creation tool over at AmericanSoccerNow.com the MLSR writers got together to create their ideal line ups against Honduras. Take a look at each of our thoughts and see what you think. Once that's done, head over to ASN and make your own! It's hard not to have certain staples in your team. 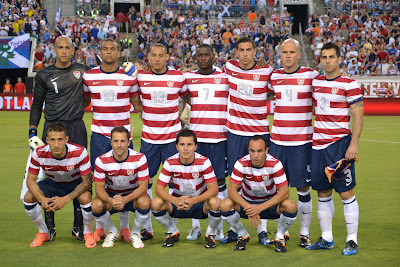 Guys like Bradley, Howard, Bocanegra and Dempsey are must starts in my opinion. Given the harsh environment of CONCACAF away games, having experienced and proven players is imperative. Gomez, Chandler and Altidore have played in big games and have the ability to rise above it. Working around them, Graham Zusi compliments Bradley well. Danny Williams and Fabian Johnson provide attacking prowess and unknown quantities for the Hondurans to deal with. Omar Gonzalez has earned a start and will benefit from the experience. Worst case, it's early in the Hex and this lineup offers time to learn and ability to win. The roster is lacking any true wide players, and we desperately need some with in order to generate any sort of attack. We have seen that we can not cut a team apart through the middle, especially when they decide to all get behind the ball. So my strategy is to use overlapping back (Castillo, Chandler) in order to get that width. As far as CB goes: Boca is needed for leadership in a tough road game. Cameron is a solid versatile defender. Midfield: Bradley will provide good defensive cover and the late run in the box. Kljestan I want to provide offense and to give a back outlet to any advanced player who might get a long ball played to them. He can then spread it wide or run forward with it. Forward Midfield: Dempsey does what Dempsey does (withdrawn forward). Johnson(s) I would like to see them play off of Altidore. Altidore is a good target man but he needs someone to lay it off to and then make a good run forward. I would like to see him do that out wide to either Johnson or back to Kljestan and then get forward. This should allow our backs to get up and keep the pressure on. There aren’t any wide players on the roster and I’ve never been a fan of pushing central players out to the wing. With that in mind, I think the best strategy is to try and play through the middle where our best guys are going to get the most touches. In the past, the problem with this strategy has been the lack of width, but with Fabian Johnson and (finally) Timmy Chandler at the fullback spots, that shouldn’t be an issue. Both are great at getting forward to support the attack and it’s important to make sure Chandler is cap-tied ASAP. 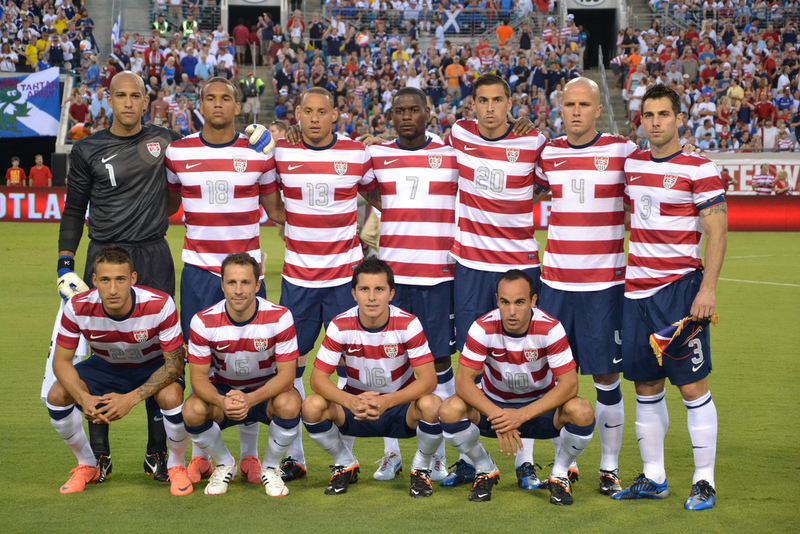 Dempsey and Bradley are obvious starters in the midfield. Jermaine Jones will have his one or two risky tackles, but against a Honduras team that wants the US to leave the game “scared” his physicality is important. Kljestan will take some of the creative pressure off Dempsey and provide a deeper outlet for Bradley and the defense. At this point I think Jozy needs a second forward to be at his best. Herc Gomez will run all day off the ball allowing Jozy to hold it up without having to deal with two or three defenders. Certain guys are no-brainers for this match. Howard, Bradley, and Dempsey should be written into US lineups in pen, and for this game Bocanegra’s leadership and experience are essential. Cameron at this point is my choice to partner Bocanegra, though I wouldn’t mind seeing Gonzalez there. Chandler and Johnson provide some much-needed width and attack coming out of the back. In midfield, I'm sure Klinsmann will go with Jones on the day, but I want to see Kljestan there with Bradley – he brings much more offensively and is less of a worry for cards. Williams is there to create on the overlap with Johnson, while Dempsey plays the role of Dempsey as a withdrawn forward. I want to see Altidore on the field, but he needs guys to play off of, which is where Gomez comes in along with Dempsey. We will update with more lineups as our writers send them in. What's your ideal lineup? Sound off.